In Malta, a large number of the female migrant population originate from countries of origin with a high prevalence of FGM and are of a young age, factors that contribute to a high risk. 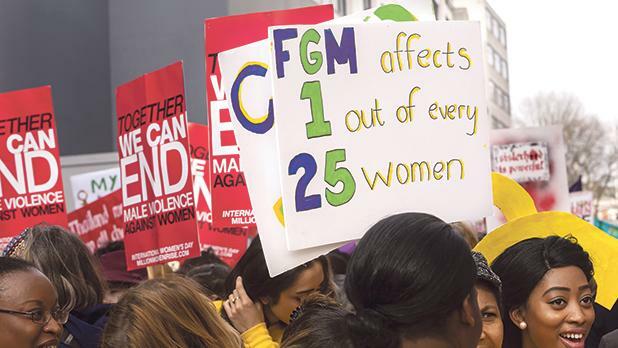 It is estimated that 39 to 57% of girls are at risk of FGM out of a total population of 486 girls originating mostly from Somalia, Eritrea, Ethiopia, Egypt, Sudan, Nigeria and Sierra Leone. Eige’s FGM research in 10 member states has demonstrated that the phenomenon affects girls living in the EU. Ireland registered the lowest risk at 11% of 14,577 girls aged from zero to 18 who originate from FGM-practising countries. In Malta, which had the smallest population of girls involved in the research, 39% of girls were at low risk and 18% at high risk. This was followed by Greece, with 42% of girls being at risk. FGM has been a crime in Malta since 2014 and the procedure is criminalised even when committed abroad. Asylum can be granted to women and girls who have undergone FGM or are in danger of being subjected to it. Focus group discussions were held with women from Egypt and men from Nigeria to understand better the situation among the diaspora living in Malta. Most said they were against FGM, however, older Muslim Egyptians were largely pro-FGM, considering it a cultural practice that needed to be sustained. All agreed it should be performed by a qualified doctor. Eige also looked into risks of girls who are seeking asylum in Malta, separately from that of resident migrants. It is estimated that 46% of asylum-seeking girls are at risk of FGM in Malta. ▪ Adopt a gender-sensitive asylum system, even when fast-track border systems are in place. ▪ Create and implement policies with FGM-affected communities. ▪ Engage men as they are said to be the final decision-makers on FGM-related matters.